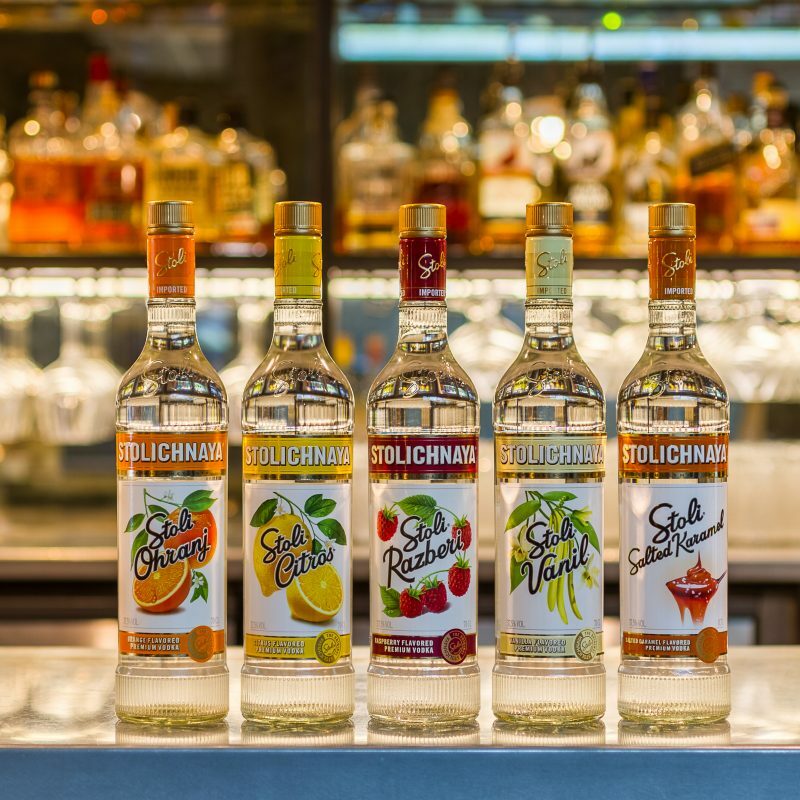 Tis the Season to be Stoli! Admit it, you’ve always admired Santa’s cute little booty. Who can blame you, it’s so juicy! Well it’s that time of year again, Santa is preparing to gracefully come down our chimneys and drop off some presents to all the good people of the world. But some of you have been EXTRA good, and you deserve Christmas to come early. Well good news! This time of year means you can now taste Santa’s glorious little booty early, of course i’m talking about our December cocktail of the month! Last year it was a hit and we wanted your Christmas to taste just right again. Sure we experimented with changing what’s in the mix, we blended a whole turkey dinner and tried it in the boot, but the sprouts didn’t look right as a garnish. Instead we opted to keep our favourite vodka, Stolichnaya! 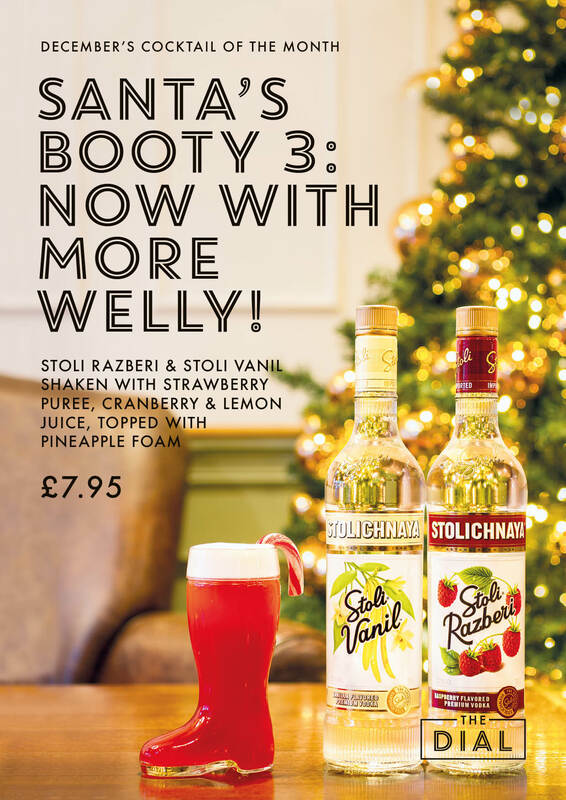 We are using the smooth Vanil and Razberi flavours of Stolichnaya Vodka and mixing them with strawberry puree and cranberry juice. What you get is a fruity little treat that you deserve to enjoy well before Santa stops by. Oh and did we mention that it is magically topped with pineapple foam and garnished with a candy cane. Much better than brussel sprouts! We hope to see you stop by this festive season, and if you do, make sure to enjoy our extravagant cocktails, in a boot! Merry Christmas to everyone from all of us at The Dial!